Although it is still relatively early in the awards season, these incredible films coming to VIFF this year, have already been submitted to the Academy Awards for consideration. Be sure to catch them at VIFF because you might get the opportunity to see a film that eventually wins an Oscar! Val (Brazilian household name Regina Casé), a cheerful São Paulo live-in housekeeper who’s taken care of a rich family for some time, finds her life turned upside down when her estranged and decidedly intelligent teenaged daughter, Jessica (Camila Márdila), comes to stay, thereby unleashing a welter of issues that make Val question her whole existence. This is the first time submission for Anna Muylaert and first female-directed film selected by Brazil in 30 years. TICKETS. An incriminating attack on Catholic hypocrisy, The Club irreverently refers to a group of priests and a nun who have been banished to a sort of halfway home in a small beach town for scandalous members of the cloth. At first we are introduced to the characters at a dog race, where their beloved trained greyhound is the victor. Then we settle in with them at home, and learn their true nature. Guilty of heinous acts, among their sins are pedophilic abuse and abducting babies from unwed mothers. After one of them commits suicide when confronted by a local drunkard, who, it turns out, he violated as a young boy, the Church sends in a counsellor to get to the bottom of the incident and to keep these formerly ordained monsters in line. This is the third submission for Pablo Larrain. Chile has submitted 20 times with one nomination, 2012’s No from Pablo Larrain.TICKETS. In Ciro Guerra’s vibrant and wildly original feature, two explorers (Borgman’s Jan Bijvoet and Brionne Davis) embark on parallel journeys—albeit 40 years apart—down the Colombian Amazon. Both are in search of a sacred flower with mythical healing powers. Both encounter Karamakate (initially Nilbio Torres; then Antonio Bolívar), an Amazonian shaman who shares with them his tales of colonialism’s devastating toll on his people. As unlikely friendships take root, this drama cuts between timelines and enwraps viewers in seductive visuals and alluring ethnographic details. This is the third submission for Ciro Guerra. Colombia has submitted 24 times with zero nominations. TICKETS. Wryly humorous and bittersweet, Home Care is an appealing humanist tale that puts a poignant spin on that perennial staple of the Czech cinema, the village dramedy. It captures the details of small-town life through piquant observation. The action centres on a dedicated home-care nurse in the South Moravian countryside who puts everyone else’s needs before her own. Vivacious 50-ish Vlasta (a tour-de-force from Alena Mihulová) travels all over the countryside, visiting a variety of charmingly eccentric patients, and dispensing compassion and conventional medicine in equal measure. This is a first time submission for Slávek Horák. Czech Republic has submitted 22 times, was nominated 3 times (2000’s Divided We Fall and 2003’s Želary) and won once (1996’s Kolya). TICKETS. Thisos a first time submission for Jayro Bustamante. 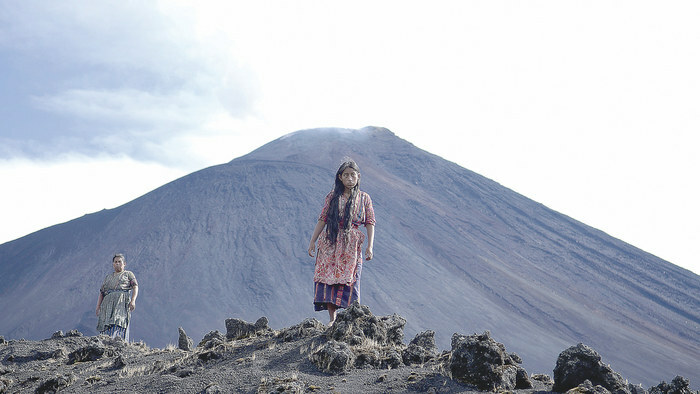 This is the second time Guatemala has submitted to the Oscars, after 1994’sThe Silence of Neto. TICKETS. TRAILER. Situating the viewer in the middle of Auschwitz-Birkenau alongside a Sonderkommando named Saul, this is not simply a drama but a visceral experience that brings you inside the day-to-day horrors of a Nazi concentration camp. Early on, we witness Saul as he ushers victims into a gas chamber, and later, when clearing out their bodies, finds a young boy’s corpse that he claims as his own son. In an existential plight of redemption, he is determined to give the boy a proper Jewish burial and will risk his life to do so. This is a first time submission for László Nemes. Hungary has submitted 50 times, have been nominated 8 times and won once (In 1981 for István Szabó’s Mephisto). Hungary’s last nomination was in 1988, but the country was on the 9-film shortlist in 2013 for The Notebook. TICKETS. This is a first time submission for director Grimur Hakonarson. Iceland has submitted 35 times, been nominated once (1990’s Children of Nature) and made the shortlist in 2012. TICKETS. This is a first time submission for Masaharu Take. Japan has submitted 62 times, was nominated 39 times, won 4 times (3 of them as Honorary Oscars; 1950’s Rashomon, 1953’s Gate of Hell and 1954’s Samurai, The Legend of Musashi. It’s competitive win came from 2007’s Departures) and made the shortlist in 2010. TICKETS. A flight of fancy from Alanté Kavaïté, this dreamy, coming-of-age story focuses on 17-year-old Sangailé (Julija Steponaitytė), a young woman with a fascination for flying and a contradictory fear of the same. Until, that is, she meets the fearless Auste (Aistė Diržiūtė) and the two young women fall in love… Punctuated by a charmingly aestheticized eroticism that is entirely appropriate to this crisply told tale, Sangailé is a touching and deeply empathetic gem. This is a first time submission for Alantė Kavaitė. Lithuania has submitted 8 times resulting in zero nominations. TICKETS. Gripping and gritty, Gabriel Ripstein’s assured debut is a nimble, intense thriller that delves into cross-border crime. Kristyan Ferrer is Arnulfo, a callow petty criminal who buys firearms in Arizona and smuggles them into Mexico for use by the cartels. The purchases are legal and hassle-free in the gun-happy state; the whole thing is easy money—until Arnulfo and his accomplice are set upon by ATF agent Hank Harris (Tim Roth). Things go bad for all involved, and the film becomes a dark journey southwards, with Harris as captive and Arnulfo as kidnapper. There are near misses, double crosses and some shocking moments of violence ahead, and by the end a most disturbing picture of crime and punishment has emerged. This is a first time submission for Gabriel Ripstein. Mexico has submitted 48 times, was nominated 8 times with zero wins, making it the second biggest loser of this category. Mexico was on the shortlist in 2008. TICKETS. The dramatic shifts in tone become even more pronounced with the second film’s slow-tempo opening chapter about an old man on the lam. In “The Tears of the Judge,” a public trial becomes a mockery, with the testimony implicating everyone in attendance. Finally, The Desolate One ends on an exhilarating note, with a supremely entertaining story about a dog named Dixie who’s passed between owners, familiarizing us with the inhabitants of a working-class apartment building. First time submission for Miguel Gomes. Portugal has submitted 32 times with zero nominations. TICKETS. This is a first time submission for Radu Jude. Romania has submitted 30 times, with zero nominations or wins, but they made it to the 9-film shortlist in 2011 (for Beyond the Hills). TICKETS. Sent to study sword-fighting technique and philosophy (wuxia) with a Taoist nun and former princess Jiaxin (modern dancer Sheu Fang-yi, resplendent), Nie Yinniang (Taiwanese superstar Shu Qi, in the role she was born to play) is sent out into the world as a supremely skilled assassin, but fails at her assignments because of an excess of compassion for her would-be targets. Whereupon she is sent on an ultimate challenge: to assassinate Tian Ji’an, the lord of Weibo (Chang Chen, all masculine elegance), who just happens to be her childhood love. Yinniang watches, stealthily, waiting to strike, as court intrigue plays out with increasingly lavish complication. This is the third submission for Hou Hsiao-Hsien. Taiwan has submitted 41 times, was nominated 3 times (1992’s The Wedding Banquet, 1993’s Eat Drink Man Woman) and won once (2000’s Crouching Tiger, Hidden Dragon). All nominations and the win came from Ang Lee. Also, Taiwan was on the shortlist in 2011.TICKETS. Tags: academy awards, nominations, oscar nominations, oscars 2015, viff, viff 2015. Bookmark the permalink.